It's a weekly tradition that Jen, Michael and I go to the grocery store and share one cart while we shop together. We have been craving steak, but didn't know how to cook it. So, I took on the challenge! It probably sounded a little like"Yes mom, it says....no its 2 lbs.....it's only $5, yes mom....No it says... it's not even close to expiring...". After a 5 minute lecture on steaks, gaining some endearing looks from some women, and probably explaining every kind of steak available in the entire grocery store on the phone with my mother, I finally settled for a round tip steak. Mom is ALWAYS a great source and all, but she sometimes isn't always available when I'm at the store. This is my quick fix and new favorite cheat sheet. 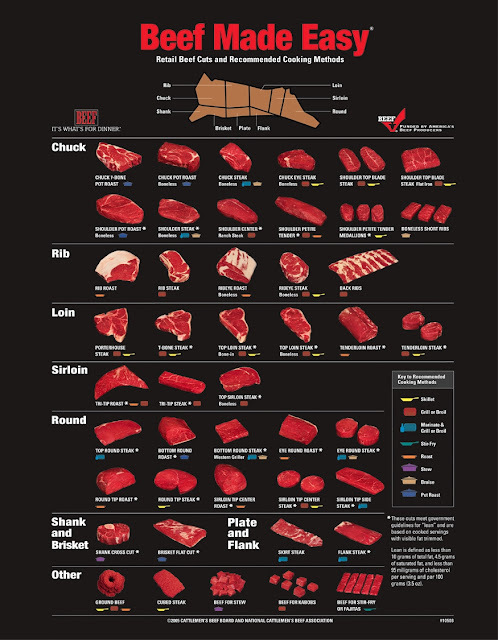 I've looked at quite a few recipes and learned that you can do a lot with steak. Stew it, pan-sear it, roast it, or even quickly broil it, all of which I can't wait to investigate. Michael and I, each bought a steak and decided to experiment. We found a quick pan-seared steak recipe that turned out to be very simple. Michael got a snap shot of my very chaotic set up! I never would have thought to make a sauce by mixing red wine and soy sauce, but it created a developed salty savory taste. Hard to describe, all you need to know is it's delicious, easy and fulfilled my craving for steaks! Pair with some mashed potatoes and it feels just like home. Note: This recipe was originally for a rib-eye steak, but it worked perfectly for the round tip steak as well. Pat steaks dry, then sprinkle with 3/4 teaspoon salt and 1/2 teaspoon pepper (total). Pour off fat from skillet, then sauté garlic in remaining tablespoon oil over medium-high heat until pale golden, about 30 seconds. Add water, soy sauce, and any meat juices from plate and boil until reduced by half, 3 to 4 minutes. Note: I did not finish that giant steak! Tomorrow I will post what you can do with steak left overs! That chart is amazing!! Very helpful! And good for you for tackling something new!